AUSTIN, Tex. (BNC) by Barry Newton — Earlier today, Dr. Glover Shipp, a tireless worker for Lord left this life to be with his Lord. 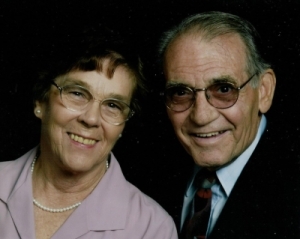 With a fire in his bones to serve the expansion of the Lord’s kingdom, Glover and Margie Shipp left for Belo Horizonte, Brazil in 1967 with their five children where he was instrumental in contributing to the establishment of the Carlos Prates congregation. An ardent student with a natural creative flair, Glover acquired a wide variety of tools for serving the Lord. He would earn degrees in art, communication, theology, missiology and anthropology. The impact of his ministry has had a wide influence spanning decades and continents. As a prolific author, who could create his own illustrations, he sought to encourage others to become followers of Jesus, help disciples grow in their walk in the Lord and inspire his fellow Christians to become ambassadors themselves for Christ. With this drive, two of his more recently published books were aimed at helping Christians reach out to the Muslim world. Perhaps it was one of his first books, There’s No Nut Like a Brazil Nut, that contributed to him becoming a household name among the brotherhood. His ministry carried him from being a missionary in Brazil to teaching in the missions departments at Abilene Christian University and Oklahoma Christian, as well as serving as editor for the Christian Chronicle. He prepared online courses for Nations University. Until last year, he taught at the Austin Graduate School of Theology. While his ministry often placed him on a larger stage, Glover was dedicated to the local church where he served as an elder. To personally encounter Glover was to meet a thoughtful, unassuming servant of the Lord focused on planning what he could accomplished next for the God’s kingdom. Also noticeable would be his distinctive humor which made it into some of his books, such as The Pilgrims: Missionary Life in Cartoon and Text. Whenever someone dropped into his home, he often would be either engaged in research for another book or diligently working on another beautiful oil painting. As might be expected, those paintings are highly valued among his family and friends. We are sad to see our dear brother leave us behind. But we look forward to joining with him again when our Lord returns. Rest I peace until we meet. He also wrote a biblical historical novel called “Tamar” after the city by that name. I advertised it for him. He was a good and tireless man. Rest in peace brother Glover. You fought a good fight. Good by dear brother until we meet in glory. Brother Glover Shipp indeed did wear many hats. And one was his artistic ability which he demonstrated on some of the books published through my company, Star Bible Publications which I operated from 1965 till 2006. I would be glad to share the titles and the art with anyone who requests as an appreciation for this talented brother in Christ. Rest in Peace Glover, Hope the next chapter is the one we all look forward to….